I hope you’re enjoying everything summer has to offer. We’re busy working on making improvements here at TextMyJournal. You’ll notice that you’re now able to download pictures, video, and audio you’ve texted in as part of your journal. We’re working on formatting this in a more readable format. 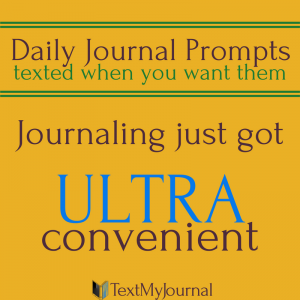 Let us know how you’d like to download your journals by sending an email to team@textmyjournal.com! We’ve also updated the terms of service. Stay tuned for many updates and improvements. Thanks for all the feedback many of you have offered. You’re helping us make improvements, and we appreciate it!